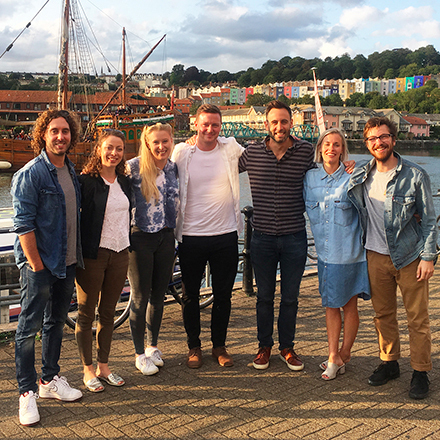 We are looking for an energetic, driven marketer with a passion for supporting creatives and small businesses to come join our team of six in Bristol. We’re looking for a proactive self-starter that is just as happy creating compelling content for digital channels as they are working with external suppliers. You’ll have good all round marketing skills, with your primary areas of expertise being digital marketing and social media. You’ll know how to find and target new audiences fast, engage them and convert them into prospective customers, through a mix of owned, earned and paid activities. With a few years experience under your belt you’re now looking for somewhere where you can work independently and autonomously, spread your wings and play an instrumental part in developing a brand. We’d love to hear from you if you feel you offer both creative flair and commercial acumen, know how to reach and engage with creative small businesses and are looking for a new challenge that isn’t your typical 9-5. You will take a leading role in coordinating and delivering marketing activity to generate strong leads for the sales team, position and grow the Meanwhile Creative brand and strengthen our 250+ strong community of creatives. As a small company with plans underway for national expansion, the role offers strong career development prospects for the right candidate. Benefits include generous holiday allowance, Move GB membership and weekly yoga sessions. Deadline for applications is midnight Sunday 18th November. However, early applications are strongly encouraged as we will begin interviewing immediately.